The concept of food delivery isn't new, but it's hotter than ever before, thanks largely to a growth spurt in the on-demand economy. Consumers have become accustomed to having things brought to them in a timely manner, and that includes their food. Classic sit-down dining isn't exactly drying up, but growth was flat in 2018, according to Forbes. By comparison, the popularity of takeout and delivery was up. And it makes perfect sense. The likes of UberEats, Caviar, Seamless and a host of other delivery apps have made it easier than ever for in-home diners to scan menus at will and place an order for delivery (or pickup) with just a few finger taps. Even food shopping has gone mobile, with meal kit providers like Blue Apron and grocery delivery services like Amazon Fresh bringing the week's cooking supplies right to the customer's door. What does this mean for restaurants? Mainly that, now more than ever, there's money to made in delivery and takeout services. Boulder culinary students who are interested in locking down some future delivery revenue can start by understanding some of the core characteristics of a delivery-friendly menu. 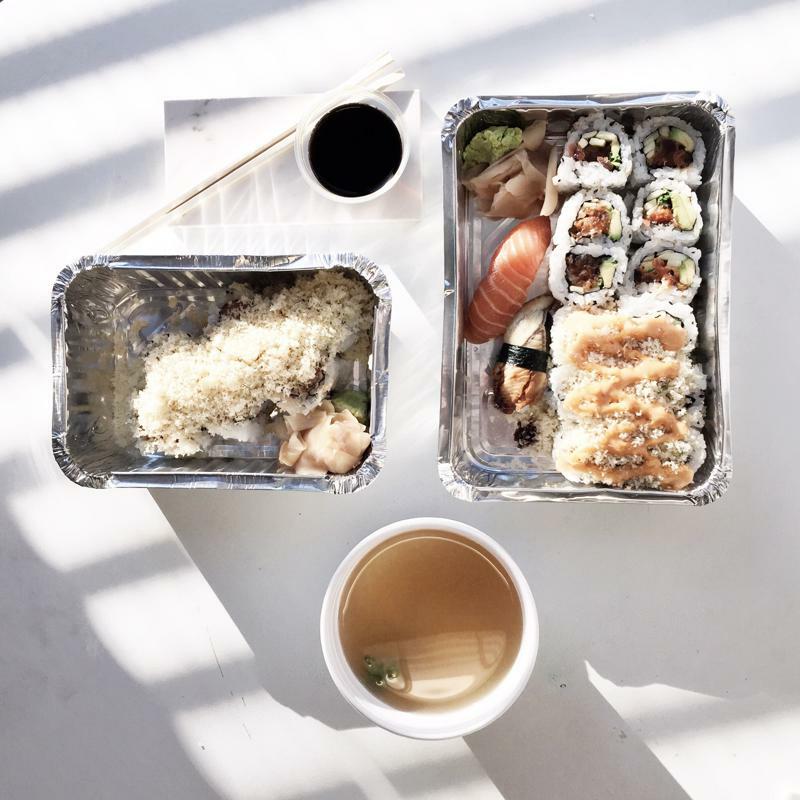 Sushi is one of the myriad delivery options available to diners. Restaurants that serve classic delivery items including Chinese takeout favorites, pizza, sushi and fried chicken are in an especially good position to make a foray into at-home dining. There's a traditional and cultural precedent for these types of cuisines. However, you don't have to spend a lot of time on GrubHub to notice that everything from Malaysian food to Middle Eastern fare is on the delivery menu these days. Even seemingly counter-intuitive foods such as pho and ramen can be ordered for pickup or delivery in most metropolitan areas. Of course, this requires some logistics in terms of how to package average portions into the proper containers for transit. But it's worth the extra time and money if it means extending your prospective customer base. High-end restaurants have bucked at the idea of packaging carefully crafted and presented cuisine into to-go containers. So, while technically anything can be delivered, not everything should be. Lasagnas, fresh lobster, bread bowls, elaborate filets, ornate or cold-served desserts, and anything with potential to get soggy in transit are all examples of foods that aren't delivery friendly. Every restaurant therefore has to make a decision about its identity. It can double down and play off the exclusiveness of its dining atmosphere. It can make the decision to pepper its menu with delivery-friendly items, or create an altogether separate delivery menu. One chef and restaurant owner started a chain called Cosa Buona as a result of the delivery trend. "Sometimes we'll get Postmates orders at [my other restaurant] Alimento, which is more refined," says chef-owner Zach Pollack, "and it breaks my heart a little bit when I see a tortellini stuffed with broth, this very sensual experience, going into a plastic container and leaving the restaurant." But with menu items such as eggplant Parmesan and shrimp scampi, Cosa Buona's menu travels better. So, what belongs on the delivery-friendly menu? Delivery-friendly menus typically include finger foods, sandwiches, wraps, dips, and other dishes that aren't necessarily as presentation-centric. There's also some overlap between the street food tradition – and home-cooking – and delivery menu items. Specifically, all are well-suited for traditional cuisines with relatively simple presentation. The trick to creating a delivery-friendly menu, then, is identifying dishes that fit your eatery's motif, and are conducive to (and perhaps even enhanced by) being consumed in an informal, cozy setting. For example, goulash and pierogies are best eaten with utensils but homely enough to fit into a delivery menu. Similarly, while you might not order a lobster for delivery, a lobster roll is a perfectly feasible delivery-menu item. At the end of the day, it's really that simple.